Golf Escapes is proud to offer Quality Accommodations throughout the Sandhills. Mid South Golf Resorts, Hotel Suites, Business Class and Economy Motel Rooms. Welcome to the Best Western Pinehurst Inn where guests will receive the highest quality of customer service. A golfer's paradise, Best Western hotel offers convenient access to 30 championship golf courses, local attractions, shopping and dining options, many within walking distance, in and around Southern Pines. Guests will enjoy beautifully decorated guest rooms featuring cable satellite television with HBO® and free high-speed Internet access. A complimentary full hot breakfast is served to hotel guests every morning. The Best Western Pinehurst Inn comes complete with an outdoor swimming pool, fully equipped fitness center and on-site business center. The efficient and friendly staff at The Comfort Inn will make your Golf Escape above par. Enjoy cozy accommodations, healthy breakfast options and friendly service while at the Comfort Inn® Hotel. Amenities include free WiFi, free hot breakfast full of options including eggs, meat, yogurt, fresh fruit, cereal and hot waffles, free parking, seasonal outdoor pool and fitness center. Guest rooms feature premium bedding, coffee makers and flat-panel TVs. If you plan on staying in, relax by the pool or after your round and dinner top the evening off with a nightcap at the Hickory Tavern Sports Bar next door. 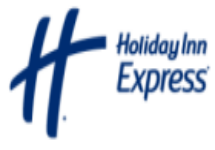 The Hampton Inn & Suites Southern Pines-Pinehurst hotel in Aberdeen, North Carolina is ideally situated just minutes from the charming, historic downtown area and most famously, the area is a golf lover's paradise. With 40 championship courses in the county, you’ll find plenty fairways, bunkers, tees and greens. Start your day off right with Hampton's free hot breakfast every morning, or a free Hampton On the Run® Breakfast Bag, available Monday through Friday. Enjoy great value during your stay with unexpected delights such as our heated, indoor swimming pool, modern fitness center, well-equipped business center and extensive meeting space for up to 350 guests. Relax in one of our spacious Pinehurst golf guest rooms and settle down for a cozy night in our clean and fresh Hampton bed®. Surf the web with free WiFi access or watch your favorite show on the flat-screen LCD TV. Starbucks™ and shopping less than a 5 minute stroll! While the sprawling greens of golf country lure you in, you'll find it difficult to leave our relaxing atmosphere. Our hotel is just a short distance from 40 world-class golf courses, allowing easy travel for your stay and our accommodations can be your oasis at the end of each day. Also our hotel is carefully designed for all types of travelers, over sized guest rooms feature a well-lit work station, complimentary high-speed and wireless internet access. Start each day with our complimentary breakfast and remain connected to the office through the use of our 24-hour Business Center. No matter how you spend your time with us, you may also wish to enjoy the sparkling water of our outdoor pool or in our state-of-the art fitness center. The hotel is walking distance to The Olive Garden, Bonefish Grill, Chilis, Dickey's Barbeque Pit and Zaxbys. Feel at Home in Pinehurst, NC! Experience a quiet retreat after a busy day at the Homewood Suites by Hilton® Olmsted Village hotel near Pinehurst, overlooking 50 acres of forest land. Our all-suite Pinehurst hotel is convenient to many golf courses designed by Donald Ross, Rees Jones, Arnold Palmer and Jack Nicklaus. Lounge in one of our studio, one- or two-bedroom suites with a separate bedroom and living area featuring a sofa bed and 32-inch LCD HDTVs with premium cable channels. Prepare dinner in the fully equipped kitchen with refrigerator, microwave, stove top and utensils. Relax in our seasonal outdoor pool or work out in our fitness center. Stay connected with complimentary internet access and utilize the services available in our business center. Wake up to a complimentary hot full breakfast served daily, and relax at the end of the day with a complimentary evening social*, served Monday through Thursday. and then relax in our seasonal outdoor pool or at our Cocktail Lounge. 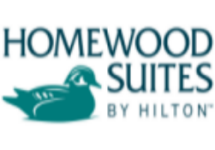 Experience a fine standard of comfort among Pinehurst NC hotels at the Homewood Suites by Hilton! The perfect choice for your Golf Escape, the 2015 Guest Service Satisfaction Marriott Award Recipient. Suites offer separate sleeping & living areas with full kitchens. Amenities include daily Hot Buffet Breakfast , Evening Reception Monday through Wednesday 6:30 - 7:00 pm with light meal and complimentary beer, wine and soda. Outdoor Pool, Whirlpool and Grill. Walking distance to restaurants, sports & wine bar. Nestled in the pines between the Village of Pinehurst and Southern Pines, you can experience one of the world's premier golf destinations while enjoying a spacious, comfortable suite for your golf getaway. Begin each day with a complimentary hot breakfast buffet including fresh choices for a customized start to your day. Relax and enjoy practicing on an on-site putting green, or in the outdoor pool and hot tub surrounded by calming pines. Dine in at the barbecue picnic area or ask the front desk for a list of the many fantastic local food options. Discover your ideal choice of Pinehurst hotels and make a good nights' sleep part of your game plan. Condo Complexs are located off US Hwy 5, within minutes of the Village of Pinehurst. These condos are available in either 2-bedroom or 3-bedrooms featuring a fully equipped kitchens, linens, towels, and a balcony or patio and light daily housekeeping. Enjoy views of Pinehurst Golf Courses No. 3 and No. 5, Chef owned Restaurants, Unique Shopping and area site seeing all within a 5 mile radius of your condo. Arrival is after 3:00pm and departure is by or before 10:00am. Our Pinehurst Homes offer more room and accommodate groups of six to twelve players. Some offer extra benefits like billiard tables, shuffle alleys, poker tables, large flatscreen TVs, large decks and outdoor grills. Most are less than 15 minutes from your next golf course,​ fine dining at The Pinehurst Resort or Village Pubs like the famous Pinecrest Inn and local's favorite, Dugan's Pub.